We are sure you saw the post about a giant new development project potentially being built near Andrew Square. 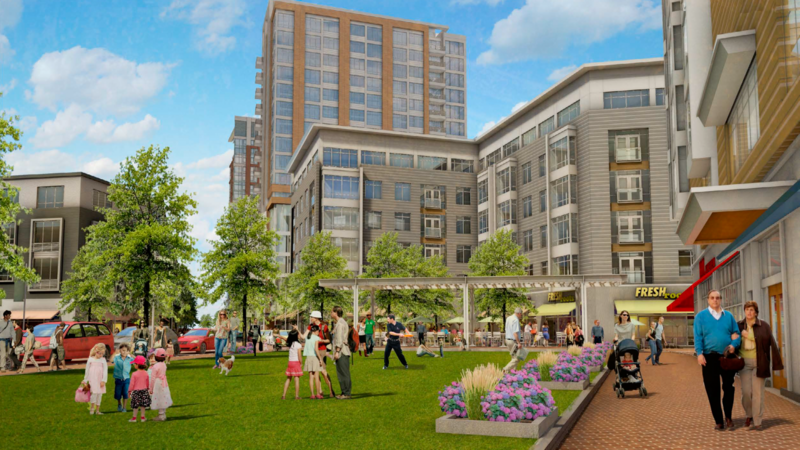 Boston developer Core Investments Inc. and real estate investment firm Ad Meliora LLC’s project, filed the plans with the Boston Redevelopment Authority which include 656 residential units in eight buildings, with roughly 98,600 square feet of ground-floor retail space. Featuring mainly apartments and condos (with some even aimed at the “middle-class”), this new project will have 560 parking spots, some green space and potential retails space for a small grocery store, restaurant, pharmacy and more. The name of this development will be Washington Village. Now before you go and think it’s a realtor’s ploy to rename Andrew Square like “Broadway Village,” it’s actually a historically accurate name. Washington Village’s history is intricately entwined with Boston’s own. The Native Americans called it Mattapannuck. The area was a stretch of land, at the base of Dorchester Neck, now known as South Boston. In Colonial times, the land was used as an orchard and a pasture, and there was a large stretch of meadow, all close to the harbor and the abundant seafood that the Atlantic provided. It was once called Little Neck. In 1850, 74 years after George Washington’s troops won a key battle up the street on Dorchester Heights, forcing the British troops to evacuate the harbor on March 17, 1776, a new name emerged, in honor of the Commander-in-Chief of the Continental Army: Washington Village. The residents of Little Neck asked the City of Boston to annex their community (which it did in 1855) and name it after the first President of the United States. The Washington Village name faded after the area become more industrial. In the mid-19th century, the site was evolving into less of a place where people lived and more of an industrial center where cannons were forged, glass was blown, wood was turned, and cows were milked in greater numbers. The name of the area later shifted to honor John Andrew, the governor of Massachusetts during the Civil War and whose name is on the nearby Red Line stop, which was completed in 1918. Since that time, the site has been home to a Westinghouse engine factory, Crown Uniform & Linen Service, Adams Transmission, and Winthrop Press. Railroad tracks once regularly brought trains in and out of the site to service these industries daily, remnants of which you can still see on the site today, which now sits vacant. Special thank you to Tina Cassidy who shares this little history lesson with us! If you would like to learn more about the Washington Village Project visit here!